Many of our local partners provide goods, services and volunteers to help you reach your goals and finish strong! 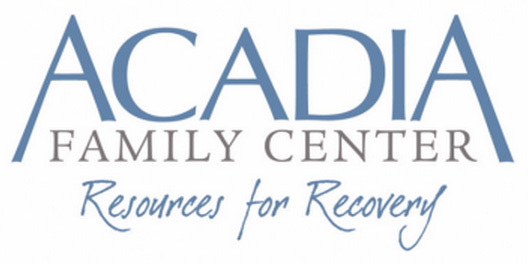 Acadia Family Center provides prevention, education, and outpatient treatment services for adolescents, adults, and families affected by substance abuse, chemical dependency, and related mental health disorders. Acadia Family Center believes in a comprehensive full service approach to reducing the effects of substance abuse on Mount Desert Island and surrounding communities. We provide extensive strengths-based education & prevention programs in all MDI and outer island schools, area businesses and civic organizations. Acadia Wildlife Foundation was founded in 1994 with the goal of caring for injured or orphaned native animals and releasing them back to the wild. The care of wildlife, or wildlife rehabilitation, is done here by trained professionals with licenses from the state of Maine, and the federal government. Animals are brought to our clinic by game wardens, vets, police, marine patrol, and by many members of the general public from three counties of central, coastal Maine. Acadia Wildlife Center is a 501(c)(3) organization. There is no charge for our services. However, wildlife care, like domestic animal medicine, is expensive and we depend on donations, grants, and the help of generous volunteers to run our operations. We receive no state or local funding. Donations therefore are essential and very gratefully received. Donation dollars are stretched a long way at Acadia Wildlife; many services and materials are donated, and most of our construction is done by staff and volunteers. 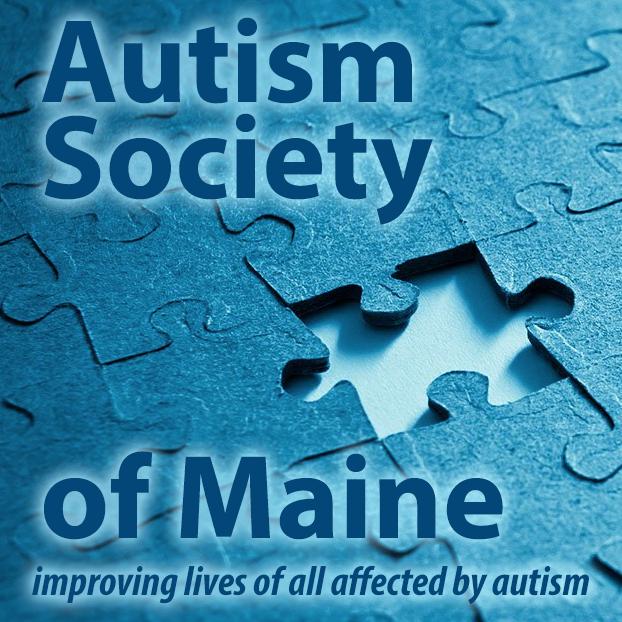 The Autism Society of Maine (ASM) is a non-profit organization founded in 1976, whose membership consists of individuals with Autism Spectrum Disorder (ASD), their families, members of the community, and the professionals who work with them. As an affiliate of the Autism Society, our mission is to promote lifelong access and opportunity for all individuals on the autism spectrum to become participating members of their communities. Education, advocacy, support and public awareness form the cornerstones of the Autism Society of Maine's efforts to carry forth our mission. The mission of the Bar Harbor Food Pantry is to provide a welcoming environment for the distribution of food and other household products free of charge to Hancock County residents in need of assistance. It is our ultimate goal to end food insecurity in our community. The Bar Harbor Food Pantry has been serving our community since 1994. Before that it had been operating on an emergency basis in the basement of the First Baptist Church. Today, with the support of local churches, community organizations and business, and individuals, we are able to help feed more than 300 households equaling over 800 individuals, across Hancock County throughout the year. The Beth C. Wright Cancer Resource Center enhances the quality of life in our community by providing services that improve the health and well being of people in these communities. They expand the spectrum of health services and provide care to those in need while building partnerships that extend beyond the traditional health care to involve the total community. Camp Beech Cliff provides outdoor education experiences that foster fun, teamwork, self esteem, leadership, positive decision-making and relationship development through physical and social growth. Primarily a resource for children, Camp Beech Cliff's flagship program is a traditional Maine summer day camp set on 50 wooded acres with shorefront and Echo Lake. Activities include swimming, boating, archery, arts & crafts sports & games, outdoor living skills and nature. During the rest of the year, Camp Beech Cliff offers team building experiences on the (ropes) challenge course to schools and non-profit groups. Core values include taking personal responsibility, appreciating and enjoying the outdoors, contributing to community, and treating others with respect, tolerance and compassion. College of the Atlantic enriches the liberal arts tradition through a distinctive educational philosophy - human ecology. A human ecological perspective integrates knowledge from all academic disciplines and from personal experience to investigate - and ultimately improve - the relationships between human beings and our social and natural communities. The human ecological perspective guides all aspects of education, research, activism, and interactions among the college's students, faculty, staff, and trustees. The College of the Atlantic community encourages, prepares, and expects students to gain expertise, breadth, values, and practical experience necessary to achieve individual fulfillment and to help solve problems that challenge communities everywhere. College of the Atlantic staffs the Mile 22 water stop! The Friends of the Ellsworth Public Library are community members working on behalf of the library to raise funds and community awareness about the library. Their purpose is to maintain an association of persons interested in libraries; to focus public attention on the library; to stimulate the use of the library’s resources and services; to receive and encourage gifts, endowments and bequests to the library; to support and cooperate with the library in developing library services and facilities for the community; to support the freedom to read as expressed in the American Library Association Bill of Rights. Friends in Action offer free services to elderly and disabled residents of Hancock County so that they can live independently, with dignity and a strong quality of life. Harbor House Community Center was founded in 1965 to provide a diversity of services that conserve and enrich the quality of life for all on Mount Desert Island. It is here that our love of community finds its fullest expression. Every Harbor House program and activity springs from common ideas, ideals and individual contributions. With six program areas and a roster of more than 60 health, fitness, educational, sports, community-based and youth-focused classes and activities, Harbor House serves every age group and every economic level. Harbor House graciously co-hosts the Official Finish Line in Southwest Harbor! We empower people and organizations to build healthy communities. Downeast Acadia is home to diverse, vibrant communities where healthful resources are available and people work together for the common good. Hospice of Hancock County serves individuals living at the end of life, their families and caregivers with free, non-medical support and comfort, and provides bereavement care. Our guiding values are: Dedication to the preservation of individual dignity and quality of life; support for volunteers and the hospice team; hospice education and advocacy for the community we serve. Island Connections seeks to provide free transportation services to those individuals on Mount Desert Island and the surrounding off-shore islands what will enable them to live independently and with a strong quality of life. Island Connections recruits volunteers from all of the communities on Mount Desert Island to provide services on a one-on-one basis to those Island neighbors in need. These volunteers come from all walks of life and from all age groups. They are generous, caring people who have a genuine concern for helping others. Each volunteer is given orientation training before working with our neighbors and chooses as many or as few rides that he/she would like to offer. There is no minimum number of rides required for any driver as we are genuinely thankful for all of their ongoing commitment to us and our neighbors who rely on our services. The mission of The Jackson Laboratory is to discover the genetic basis for preventing, treating and curing human disease, and to enable research for the global biomedical community. Along with our research we provide scientific resources, techniques, software and data to scientists around the world. We breed and manage colonies of mice to supply other research institutions and laboratories. The Laboratory has made profound contributions to research and medicine through the years and its creative, collaborative research into human diseases and conditions such as cancer, diabetes and obesity continues the tradition. Twenty-four researchers won Nobel Prizes in Medicine or Physiology for research using inbred mice developed at The Jackson Laboratory, and two other Nobel Laureates have connections with the Laboratory. Through youth enrichment, health, direct service, and spiritual programs, the Maine Sea Coast Mission offers hope, encouragement, and help to children, families, the elderly, and their rural communities in Washington and Hancock Counties and on 10 midcoast and Downeast islands. Through our programs in Cherryfield, Maine, we offer assistance with home heating, Clothes for ME , housing repair, a food pantry, and community building through the Downeast Table of Plenty the Downeast Coffee House. Another vital part of our Downeast Campus in Cherryfield is the EdGE, an award-winning after-school and summer program that serves over 500 children in grades 4-12 along with their parents and teachers. The Mission is also known for its Christmas program, which gives gifts to over 3,000 Mainers each year and its scholarship program that awards scholarships each year to over 100 high school graduates. In addition to these programs, the Mission's Sunbeam V travels regularly to the islands offering spiritual support, medical assistance, and a community meeting place for many islanders. The MDI Biological Laboratory is a rapidly growing, independent non-profit biomedical research institution. Its mission is to improve human health and well-being through basic research, education, and development ventures that transform discoveries into cures. Scientists and physicians from four Maine institutions: The MDI Biological Laboratory, The Jackson Laboratory, Maine Medical Center and its research institution, have partnered together to translate laboratory discoveries in mice and zebrafish into improved therapeutic tools for patients for early diagnosis, treatment or prevention of chronic kidney disease in humans. This novel, collaborative approach is cost effective and has the ability to dramatically increase the speed of discovery. 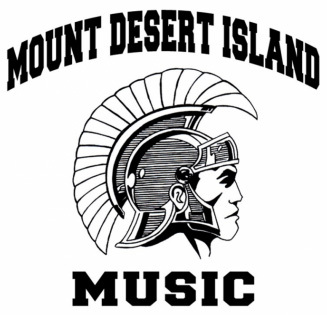 The Mount Desert Island High School Music Boosters are made up of parents, teachers, and others who sponsor the music program. Aside from financial support from the MDIHS Music Boosters, the band also receives their moral support. Student musicians have the opportunity to participate in a diverse array of groups including the concert band, marching band, jazz band, pep band, chorus, orchestra, and more. These music groups participate in state and regional festivals and competitions, and many of the MDIHS Music Boosters volunteer their time as chaperones. At the community level, the Boosters host several concert series and fundraisers. the MDIHS Music Boosters hosts our Official Pre-Race Pasta Dinner as one of their many important fundraisers! Mount Desert Island Historical Society, founded in 1931, promotes the study and understanding of the people and the history of this island and of history's relevance today. We celebrate the lives of the people, their traditions, and the events that have shaped, and will continue to shape, island history. the MDI Historical society sponsors two on-course bands, and is one of our most active fundraising partners! Mount Desert Island Hospital and Health Centers enhance the quality of life in our communities by providing services that improve the health and well being of people in these communities. They expand the spectrum of health services and provide care to those in need while building partnerships that extend beyond traditional health care to involve the total community. MDI Hospital graciously sponsors and staffs the Official Finish Line Medical Team, as well as the Mile 10 fluids station! The mission of the of the Mount Desert Island-YMCA is to develop community, character, personal growth and wellness is spirit, mind, and body for the greater MDI community. For over ten decades the MDI-YMCA has been at the center of health & fitness, sports and recreational athletics on MDI. We've helped train five generations of young men and women to win gracefully, lose with dignity and, above all, enjoy the satisfaction of a personal best effort. Mount Desert Nursery School has been providing quality childcare to Mount Desert Island and the surrounding areas since 1978. offering both a preschool/nursery school program as well as full time childcare. Our preschool program operates during the local school year from September until June. During July and August we offer a summer session which focuses on teaching the children about all the natural beauty coastal Maine has to offer. Mount Desert Nursery School hosts the annual Marathon Art Auction and Kids Run! 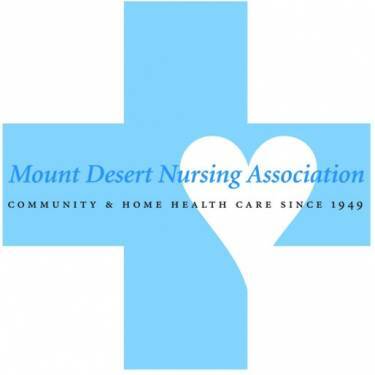 Mount Desert Nursing Association is dedicated to serving the health care needs of the Town of Mt. Desert's year-round and summer residents. It's skilled, caring nurses provide top quality health care to all ages without regard for ability to pay. As a private independent organization, the needs of the patient are always put first. The Mount Desert Nursing Association also supports community health by offering free preventative and educational programs. The Neighborhood House has served the residents of Mount Desert for nearly a century with numerous recreational, cultural, and educational events and activities. Built in 1903 and opening in 1905, the fundamental purpose is to serve as the community center for the year-round and summer residents of the of Mount Desert. Dedicated to the maintenance and improvement of community values and spirit of the town, The Neighborhood House serves all without regard to age or income. The Neighborhood House is the Official Pre-Race Hospitality Host of our Half-Marathon! The SPCA of Hancock County is dedicated to the promotion of animal welfare through community education, advocacy and placement of companion animals into responsible, loving homes. We do not receive funding from state, federal government or other national organizations such as the American Society for the Prevention of Cruelty to Animals (ASPCA) or the Humane Society of the United States (HSUS). In fact, the SPCA of Hancock County is supported entirely by voluntary donations from individuals and businesses. the SPCA staffs the Mile 8 fluids station in Seal Harbor! Our mission is to provide year-round sports training and athletic competition in a variety of Olympic-type sports for children and adults with intellectual disabilities, giving them continuing opportunities to develop physical fitness, demonstrate courage , experience joy and participate in sharing of gifts, skills and friendship with their families, other Special Olympics athletes, and the community. The 200-acre Stanwood Wildlife Sanctuary-Birdsacre is dedicated to preserving the home and vision of pioneer ornithologist and photographer Cordelia J. Stanwood, as a living memorial to her achievements. Shelters for non-releasable birds are located around the Stanwood orchard, which surrounds Cordelia's 19th Century Homestead Museum and gardens, and a modern Nature Center that showcases a fine art and nature collection. In addition, the Sanctuary encourages conservation and protects open space by accepting, monitoring, and preserving land grants to help maintain the delicate balance between human development and the natural world.